The Motion AirGel chamois features a multi-density foam pad with perforated gel inserts, designed to pad you exactly where you need it while simultaneously promoting breathability. The Beveled Edge Molding uses high-density memory foam to smooth the transition between areas of the chamois with different densities of foam. The top sheet of the AirGel chamois features Cupron fabric, which reduces irritation while providing anti-allergenic and anti-microbial properties due to its high copper content. Power+Lycra fabric adds compression, promoting blood flow and reducing chance of injury or cramping. 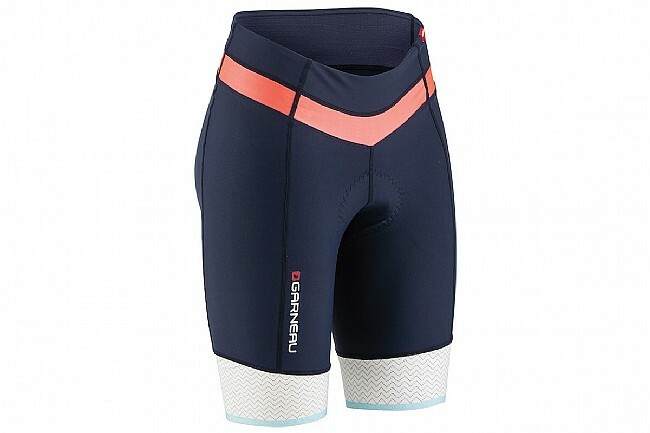 Pro+Lycra fabric offers additional support to rider and improves durability. Motion AirGel women’s specific chamois.